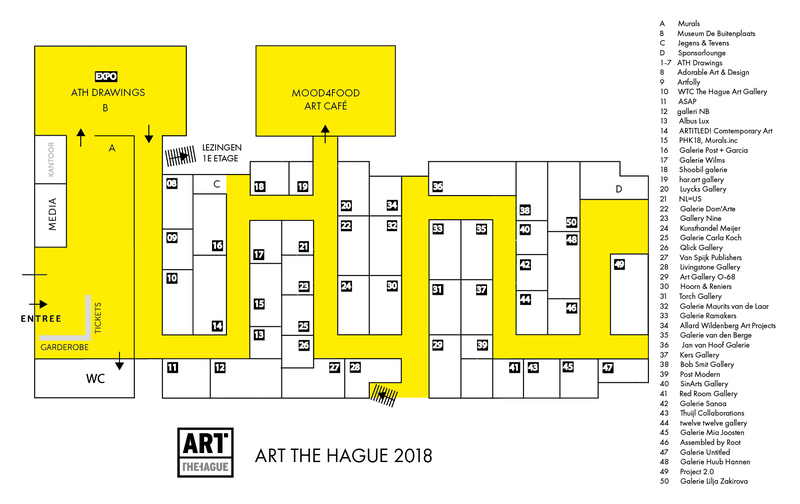 Art The Hague, the quirky contemporary art fair, will surprise art lovers as well as collectors in 2018 with works by international top artists. With a strong selection of 45 galleries the regular ‘line up’ of Art of The Hague is also worthwhile. 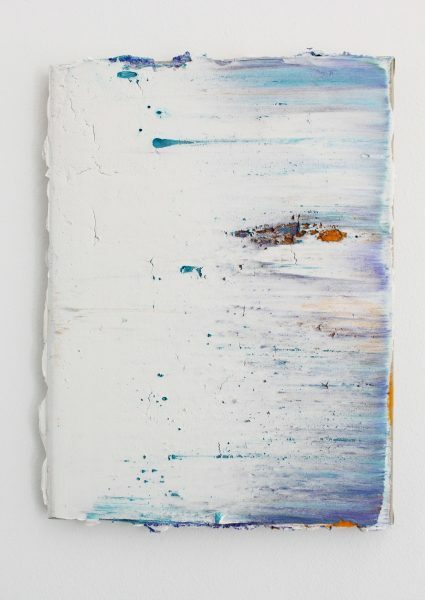 Next to renowned galleries such as Galerie Ramakers, Jan van Hoof Gallery, Livingstone Gallery and , young galleries Twelve Twelve gallery and Kers Gallery will be participating at the fair. 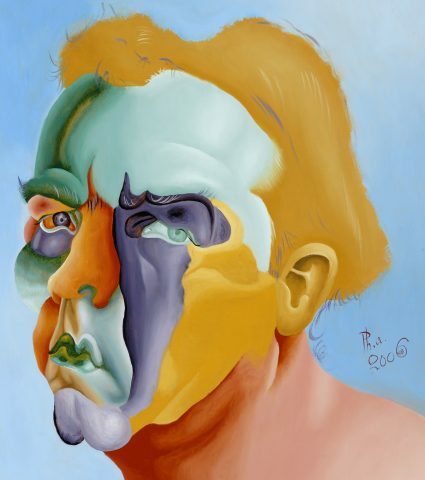 Torch Gallery in Amsterdam will be showing a solo presentation of the works of art icon Philip Akkerman. 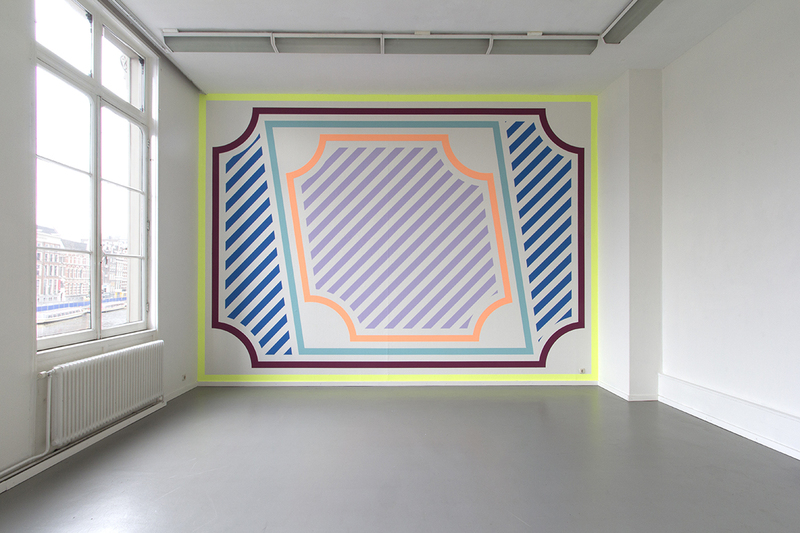 The fringe programme of Art The Hague includes the ATH Drawings exhibition (work on paper), an exhibition of interactive art, Murals, lectures on contemporary art and guided tours to leading art collections in the The Hague region. • 5:00 Wall Talks Lecture MURALS Inc. Check out the Art The Hague floor plan here. Tickets are available at the box office. 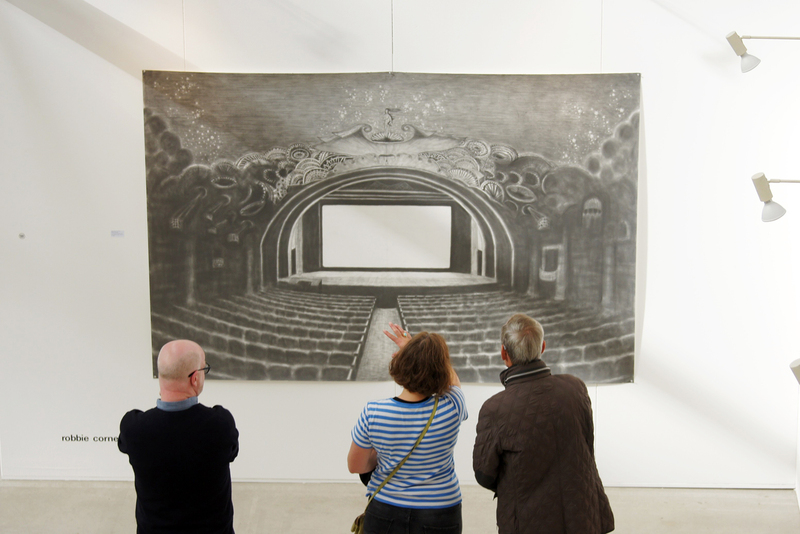 Every year Art The Hague organizes in cooperation several (international) exhibitions. A complete event program will be organized with tours, lectures and workshops and drinks. Art The Hague will also organize a VIP program and invite art professionals, (young) collectors, foreign embassies and companies. If you want to participate in the program, please send a mail to info@artthehague.nl. – From Amsterdam/Utrecht/Rotterdam: follow the A12 towards Den Haag Centrum. – After the Prins Claus Plein turn right, take the first exit, no 4: Voorburg-Den Haag-Binckhorst. – Turn left at the traffic lights at the exit, then straight on to Maanweg. – At the end of Maanweg turn right with the curve onto Binckhorstlaan. – Follow the yellow signs with “Fokker Terminal”. You’ll pass the Fokker Terminal on your left. – After 200m turn left , onto the parallel ‘service’ road. – On the ‘service’ road immediately turn left again, you are now 200m back, the Fokker Terminal is now on your right. – The Fokker Terminal has 380 parking places. From The Hague Station ‘Holland Spoor’ take bus 26 toward Station Voorburg. The busstop can be found at the back of the station, next to the Haagse Hogeschool. Get off at the busstop Zonweg, walk back 100m, The Fokker Terminal is across the street on Binckhorstlaan 249. Check out www.htm.nl/reisinformatie/htmbuzz-26/ for Bus 26 departures. For general information see: www.9292ov.nl.